This is the long way across the Finnmark Plateau. This time of year the weather is more stable and the days become longer and brighter. 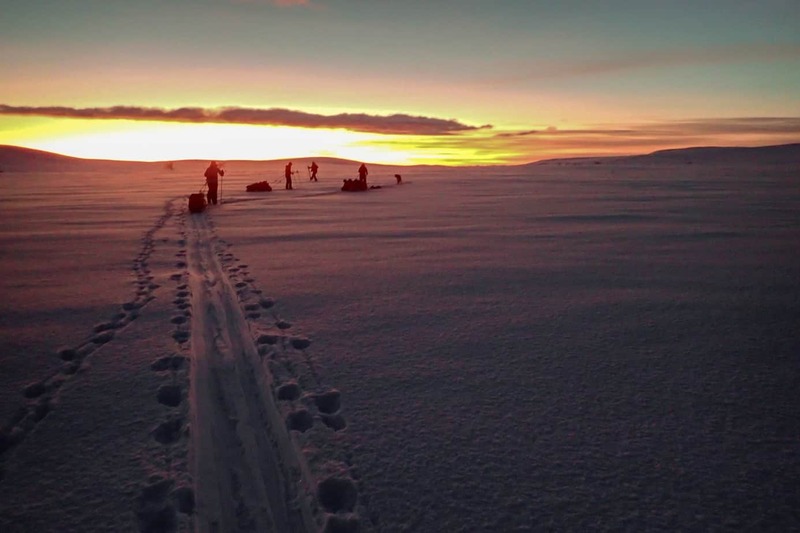 No other people in sight makes this an Arctic challenge for the true adventurers and explorers. The light and scenery is stunning! In Karasjok we will stay at the luxurious Engholm Husky Lodge….a luxury end to celbrate this tough expedition. The mean temperature during this time is –6. But we can expect temperatures anywhere between -30 to +5. The winter conditions and being far away from civilization will challenge you both physically and mentally, but it will also bring forward friendship, character, cooperation, grand nature experiences and a wilderness feeling that few other places in Europe can offer. 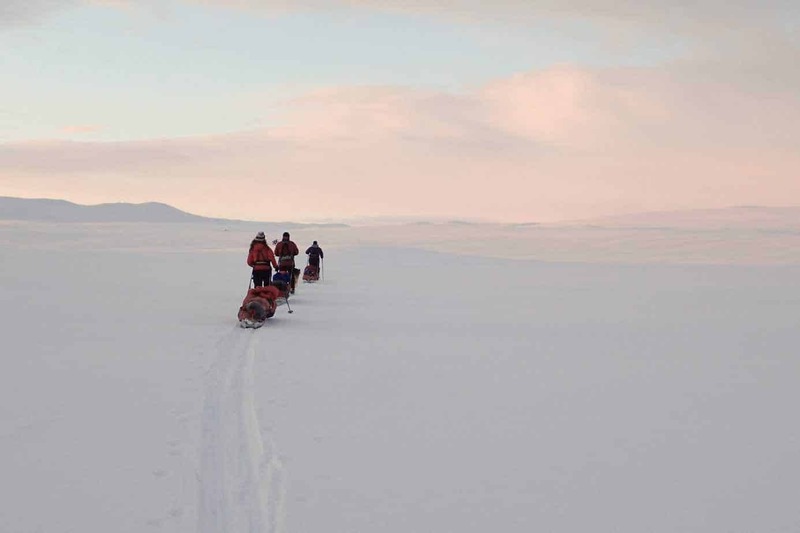 This expedition is being delivered by Turgleder who are experts in the area of arctic expeditions. 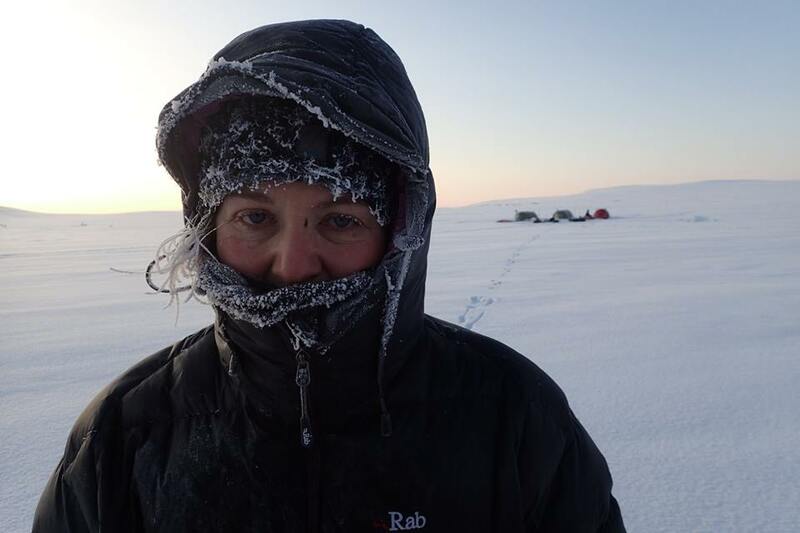 Your guide, Liv, has many years of experience and the gear they use is some of the best available for arctic conditions. You will be in very safe hands! Day sixteen is an extra day. We need to have this day as a back-up in the event that we get weather-bound while we are on the plateau or anything unforeseen should happen. If we reach our goal on day 14 or 15 these extra days can be spent exploring Karasjok and Engholm Husky Lodge. Getting your gear ready in advance is one of the biggest challenges of this expeditions and you will learn a lot in the process. 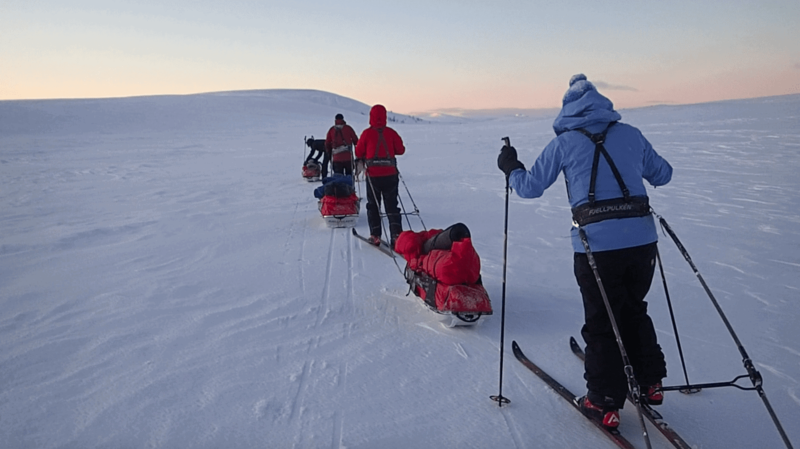 You have a huge advantage that you can contact the Love Her Wild team who did the Finnmark expedition in 2018 who can pass on all their advice and suggestions. The 2018 team used a UK Outdoor company to hire a lot of their gear (down jackets, waterproofs, gloves, hats, etc). The more specialist items (skis, boots, etc) can be hired directly from Turgleder. You will want to make sure you include gear when working out your budget. – Items marked with * can be provided by Turgleder on request for free or at an additional cost. Any additional cost is given in parenthesis. Information about equipment you need must be conveyed to Turgleder minimum 1 week before arrival. – Please note that this is the minimum required clothing and equipment for this holiday. You are of course welcome to bring other clothes and equipment in addition to this. 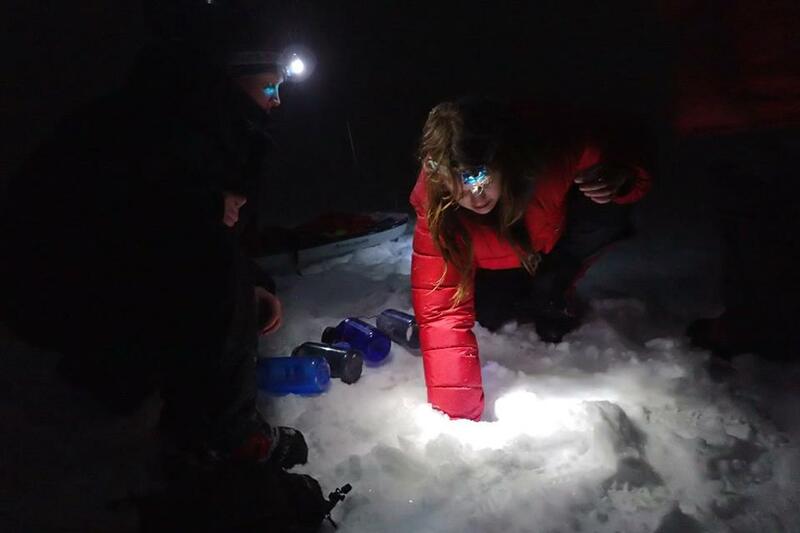 – We also strongly recommend that you bring a down jacket (and pants) to put on in camp and when we are not moving, however this is only for comfort and is not vital for the expedition. – If you choose to bring your own sleeping bag, this needs to be a warm winter sleeping bag with minimum comfort temperature >/=-20Celsius. 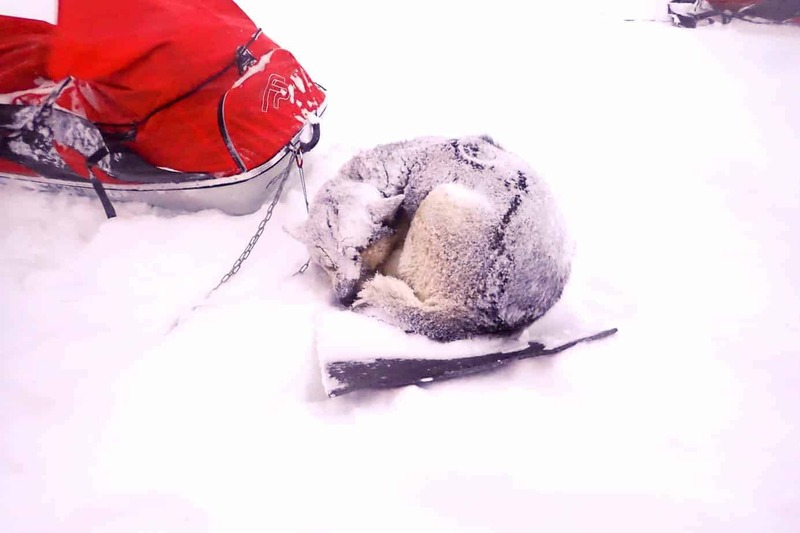 – If you choose to bring your own sleeping mat, it must be suitable for camping on snow. A foam mat (roll mat) should be thick /insulated enough (≈14mm). If you have a inflatable mat you can bring that and combine it with the roll mat we provide you with for extra comfort if you like. – You are of course welcome to bring your own skis on this trip. The skis must, however, be mountain/expedition skis (back country skis) or touring skis. Racing skis or other narrow and/or short skis will not do the job. The skis are vital on this trip and anything other than mountain/expedition skis or touring skis are not considered safe to use on this trip. 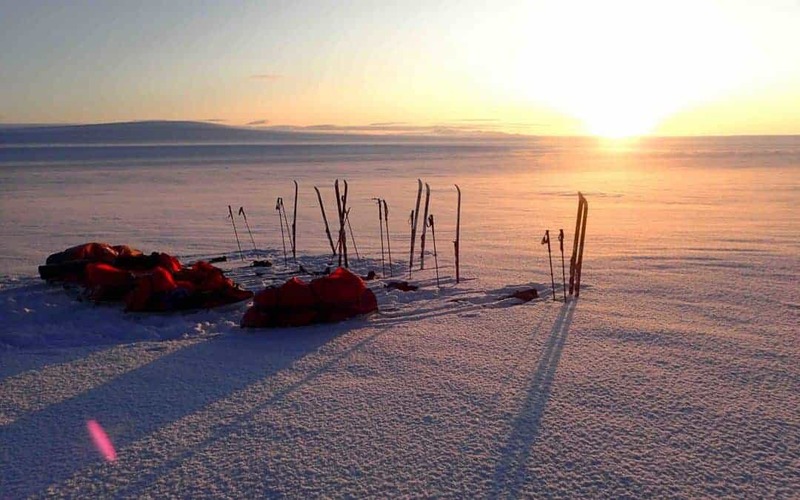 The package contains modern light weight expedition skis (Åsnes Amundsen) and poles (Åsnes Horgi/Vidda), skins and boots (Alfa Polar A/P/S or Alfa Quest A/P/S). The price for hiring the ski package is NOK 2200 for the whole trip. This expedition is suitable for adventurous people with strength of will and a can-do attitude. It requires a good level of fitness and previous camping and outdoor experience are very helpful. Crossing Finnmark does not come cheap….arctic exploration is expensive! 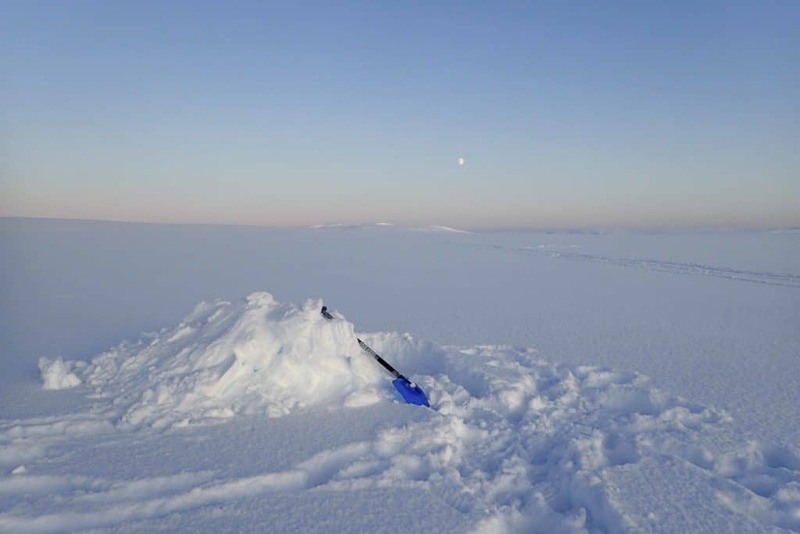 But this is one of the most affordable arctic trips you can do, especially accounting for the time you get with your pulks out in the vast wilderness. Compared to our other Love Her Wild expeditions this one will be run a little differently as it is organised as a bespoke trip. We will put together a small team of 4-6 in advance. Most of your communication going forward will be with Turgleder and you will be making payment directly to the expedition company. You will need to put a fair amount of effort into preparation – both training and getting your kit organised. But it is worth every effort. If you are looking for a unique challenge that will take you to a part of the world that so few get to experience…this is it! If you are interested in joining the Finnmark 2020 team please send an email to bex – [email protected].